In your new book Happy Mama you talk about something called Oxygen Mask Parenting, can you explain what this term means? We’ve all heard the safety warning on planes before takeoff to always apply your own oxygen mask before attending to your loved ones – the idea being that without your own air, you can’t help anyone else. Well, it’s the same for parenting. So often, mums (and dads) put their family, their work and everyone else’s needs above their own, always putting their own needs and health last. While we might think this is the best thing to do for our families, just like the oxygen on the plane, we leave ourselves struggling to survive. When we start to shift the way we think about our own needs as a parent, and prioritise ourselves without the guilt, everyone benefits. How did your experience as a journalist and radio producer shape the way you approached writing a book? I never wanted this book to just be a biography of my own experience. As a journalist and radio producer for fifteen years, my instinct was to gather as much information, experience and research I could before putting pen to paper (or fingers to the keyboard!). 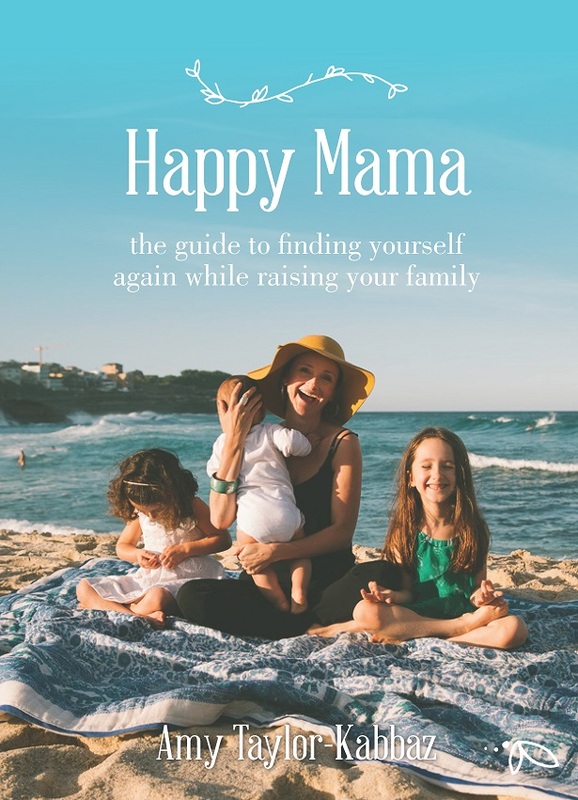 Over the years, I have been blessed to speak to some of the most inspiring experts in the fields of parenthood, wellbeing, mindfulness and post-natal care, and I wanted to bring all of that knowledge into one place, so mamas could take what they needed, and put it into practice in their own lives. Can you briefly tell us about your own journey to becoming a Happy Mama? My journey has taken eight years and a lot of breakdowns and breakthroughs to get here. It started with the birth of my first daughter in 2007, when a traumatic birth and difficult first six months made me realise that despite my belief that if I just read the right book and followed the rules, I’d be great at this mothering thing, absolutely nothing went to plan. I doubted myself completely, and spent the next four years trying to rebuild my sense of self by being and doing it all. 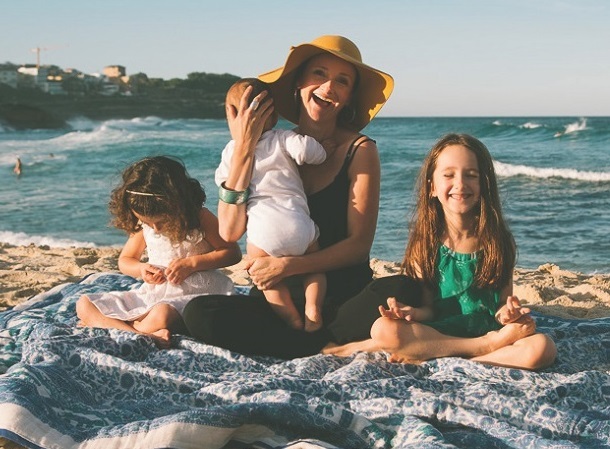 Like so many women of my generation, I thought the answer to that total loss of control over my own life was to just do more – be supermum, superwife, superwoman. Until, just over two years ago, it all came crashing down when I went into early labour at 28 weeks with my son. It was in that moment that I realise something had to change – and my real journey of what it is that makes us happy, and how we can really balance it all, began. You write quite a lot about the experience of giving birth, both in the lead-up to labour and the ‘come-down’ afterwards. Can you tell us a bit more about attitudes to birth and post-birth care? Like so much of motherhood these days, birth has turned into a competition. We set unrealistic goals around what we think it’s going to be like, and when we fail to reach those goals, we beat ourselves up. I am constantly shocked and saddened by just how many women I speak with who are embarrassed, ashamed, angry or traumatised by their birth experience – sometimes years afterwards. I speak a lot about healing from birth in my book, but also about how to view the experience as one of absolute strength – no matter how it came about. The fact is, we are mothers: it does not matter how that came about. Whether c-section, in the bath, or totally terrified with your legs in stirrups and a room full of strangers (as was the case with my first birth), there is a beautiful opportunity for us to connect to the process of becoming mothers, and use that to help us through those very important post-birth months and years. What’s one piece of advice that you’d give a new mother? It’s so hard to narrow down to one piece of advice, as I’ve obviously got a book full of it! But if I had to sum it all up in one focus, it would be this: when you give birth, you also give birth to a new you. You are a newborn too, and it is OK for you to know what the hell you are doing, or how you are going to get through it, or even if you like it very much! Everything you know about yourself is changing, so be kind to yourself. And never, ever stop asking yourself what you need too. 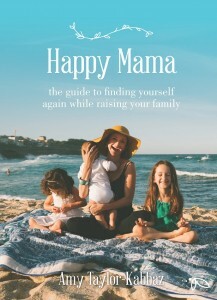 Happy Mama is available now through Affirm Press.